Skiing season has finally enticed you to try your hand on the slopes but maybe you have no idea where to find nice, easy slopes to learn your ski skills. 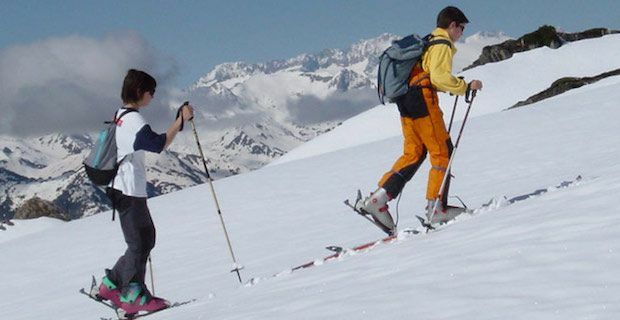 The great thing about skiing is that you can learn at any age and there are a wide range of ski resorts in Austria to choose from, even for beginners. Here are a few recommended ski resorts that are ideal for those of you who are just starting out. Oberau is located in the quiet and picturesque Wildshonau Valley where the sight of a Baroque Church greets visitors upon arrival. Due to the central location, with four airports within a two hour radius, this is a popular resort for many looking for a quick weekend away. There are various nursery slopes and blue runs to choose from making it an ideal place for beginners and intermediates alike. Once you feel comfortable on those slopes, you can take your skis, jump on the local bus and head to Niderau for a bigger challenge. Another quaint village is Alpbach is situated in Ski Jewel Alpbachtal Wildshonau. Only a quick 40 minute drive from Innsbruck airport, this resort offers 83 pistes and 145km of slopes to explore. Near the village, beginners can safely test out their skills on the nursery slopes. Depending on the type of ski lift pass you purchase, you might also gain access to other Wildschonau ski resorts nearby. St. Anton am Arlberg is the ideal place for intermediate beginner skiers who are looking for a little challenge. While there are nursery slopes near the village, there is also a wonderful selection of gentle blue runs to choose from that will meet your skill level. With an improved lift system and the widening of the slopes, this place has become much more beginner friendly in recent years. Those of you that may be an intermediate or advanced skier but are traveling with a beginner may want to head to this resort as there is are ample slopes for to suit your skill level as well. Bad Gastein offers 250km of slopes for skiers to take advantage of. The wide slopes and three highly recommended snow schools make it an ideal location for beginners. Once you feel like you are ready for a challenge, move on to the blue runs on the Stubnerkogel and test out your newly established skills. You will be skiing at an intermediate level in no time.